Here at EDF Energy, we want to make managing your energy simple. Whether you have a standard, prepayment or smart electricity meter, we've got all the answers to your electricity meter questions. Find out what your electricity meter number is, how you take a meter reading, what to do if there's a power cut and how you switch providers. What's my electricity meter number? An electricity meter serial number or MPAN (Meter Point Administration Number) is a unique number, which identifies the meter at your home. This number can be found on your electricity bill – it is usually on the bottom left. This guide can help you will any bill questions. You can also usually find the number on your meter too – it's usually on the front, near the barcode. If you can’t find this number, simply contact your supplier and they'll be able to tell you what it is. A prepayment meter is a meter that requires you to pay for your energy before you use it. You top up a key or smart card at shops which have Payzone or PayPoint signs. You then insert your key or card into the meter to add credit instantly. If you’re on a prepayment meter and want to switch to a different kind of meter you’ll need to get in touch with your energy provider. Where and how do I top up my electricity meter? You can top up at any shop or Post Office with the Payzone or PayPoint signs. Look out for shops with the sign in their windows. A lot of small, local shops can do this for you or convenience stores like Tesco Local. Some prepayment suppliers now let you top up online or via the phone – check with your energy provider how you can pay. If you can’t find your meter inside your property then you may need to look outside. You're looking for your meter box, which is mostly likely white. If you live in a flat or an apartment you might find your meter on the ground floor. Each meter should be labelled with the corresponding flat – if not you’ll need to contact your landlord and they'll be able to tell you where it is or if you have a bill you can match the meter serial number to the front of the meter. If you own the flat and are not sure where the meter is, contact the property agent or supplier. What's a standard electricity meter? This is the most common type of meter. You’ll need to check you’re taking accurate meter readings. Taking a meter reading is usually simple. You just need to make a note of the first five figures shown left to right and ignore any numbers in red and ignore any numbers after the decimal point (sometimes in red). Some meters can be a little complicated, if you're having issues, this page on reading your meter will help. When you have a smart meter, you don't need to take readings because they send readings automatically to your energy supplier. Find out all you need to know about smart meters in our smart meter section. Why is my electricity meter flashing red? It’s completely normal for there to be a flashing red light on your meter. In fact the light shows that energy is being used – and sometimes it will flash faster if there is more energy being used. Why is my electricity meter blank? Meters can go into sleep mode and seem to have no display. Pressing a button on the main panel should revive the screen display. If you're worried your meter is broken you need to get in contact with your energy provider and they'll tell you what to do. In an emergency you can call your Local Distribution Network Operator. To find out who your Local Distribution Network Operator is and to learn more about what you should do in an event of a power cut visit the Energy Network Association site. How do I get a new electricity connection? Are you setting up a business in a new premises or developing a property? Then you’ll need to apply for a new electricity connection. You’ll need to get in contact with your Distribution Network Operator (DNO) to set up a new connection. You can find out who your DNO is and get in touch here. How do I get the electricity reconnected? If you've recently moved to a new house or set up a business in a brand new or old building that has been disconnected, you might need to sort out getting the electricity reconnected. 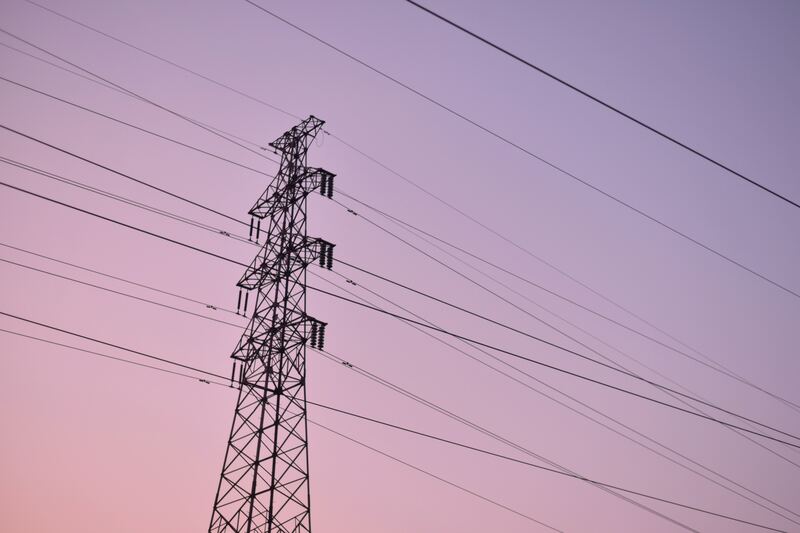 If you are a new customer and the building has a power connection but the supply is off, you need to contact your chosen energy supplier for re-connection. It's advisable that you get an Installation Certificate from a qualified electrician (if you have a landlord they can arrange this). Your chosen energy supplier will connect your electrical supply to your consumer unit. If there is a new service that is required, you’ll need to contact your Distribution Network Operator (DNO). When you get a quote for the work – some of this work can be done by an electrician and is known as ‘contestable’ work. Contestable work is electrical work done by a suitably accredited Independent Connections Provider (ICP). Contestable work can be the installation of cables and other tasks to create a new electricity connection. Ask for the quote to be broken down into contestable and non-contestable work. If you think you are being charged too much for contestable work you can speak to local electricians to compare prices and get the best deal for you. Why is my electricity not working? If you're on a prepayment meter, it's likely you've run out of credit, so you'll need to top up your key or card then your power will come back on immediately. If you're not on a prepayment meter, or you are and you know it's topped up with credit, check your fuse box. If there's one switch that's not facing the same way as the others, flick the switch and that might fix the problem. Your electricity can switch off due to one faulty appliance in your home. If you are the only one whose power is out in your neighbourhood this could be why. Your fuse box might turn everything off as a safety precaution to prevent a power surge. Are your neighbours having power issues too? Then there is probably a network power outage. This could be due to an issue with the local distribution company or just extreme weather. You'll need to wait until your power comes back – which may mean getting out the torches and board games! Are you up to date with your bill? A supplier can disconnect the power if bills are not up to date. You will receive several letters before this happens so make sure you look out for these. You'll need to contact your supplier if this is the reason there is no power. If in doubt contact a qualified electrician to inspect the installation and they will also supply you with a an Installation Certificate. How do I switch electricity providers? If you've already decided which supplier you want to switch to. In this case, contact the new supplier and tell them you want to join on the tariff you’ve seen that suits you. You’ll need your postcode, name of current supplier and tariff plus your bank details if you want to pay by Direct Debit. The new supplier will do everything else for you, including contacting your current supplier. If you are not sure which supplier would be better for you. In this case, you can do the whole process through a comparison website. You’ll need details about your current tariff, supplier and postcode so you can compare suppliers and tariffs and the website will switch your energy suppliers for you. Have more questions about switching? Not to worry – we’re here with the answers, read more on switching energy providers now. To apply for a smart meter installation you need to contact your energy company. Smart meters give you control, accuracy and convenience. See exactly what you are spending in pounds and pence. Only ever pay for what you use – so no more estimated bills. Readings are taken automatically – no more home visits and no more hassle. Want to find out more about smart meters? Get all your questions answered with our smart guide. Looking for a more suitable tariff? If you're trying to live more sustainably our Blue+Price Protection tariff uses low-carbon energy – plus it's a fixed price tariff with no exit fee, so you're in control.